Appropriate accessory pairings can transform your wardrobe from subpar to superb. 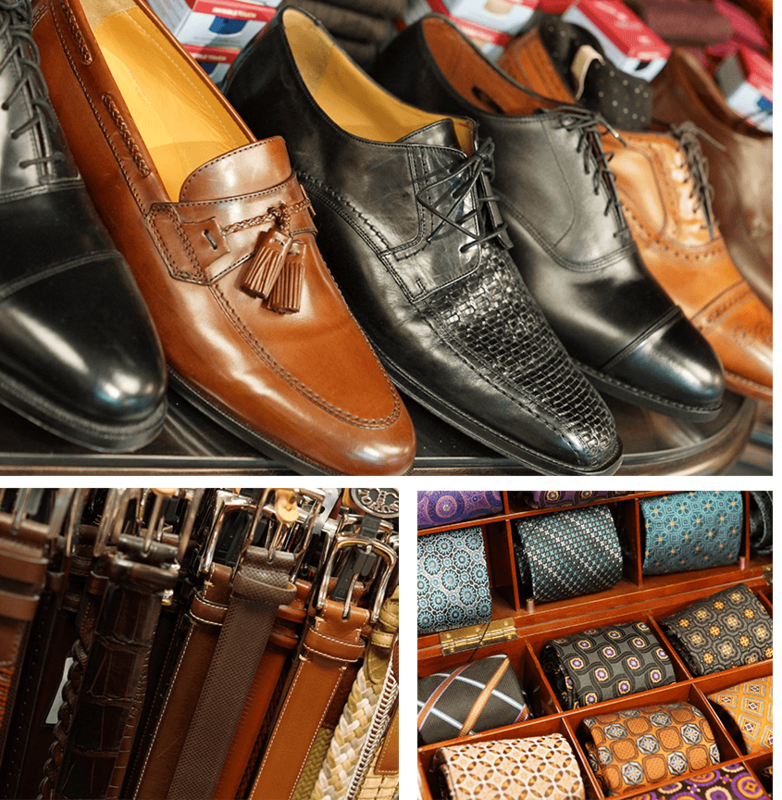 Browse our inventory of Johnston & Murphy shoes, neckties, bowties, pocket squares, cuff links, socks, and leather belts. Allow our clothing consultants the opportunity to help you determine what patterns, colors, and styles coordinate best to give you additional confidence in your appearance. Just as our clothing is carefully sewn together stitch by stitch, create a unique outfit by adding subtle (or not so subtle) accessory pieces to your clothing cache.